Haesun Yi joined Wegman Partners in 2015. Haesun has over eight years of legal recruiting experience with attorney placements, both associate and partner-level, and legal staff in all major practice areas on a national platform, including: AMLaw 100 firms, regional mid-sized practices and top-ranked boutiques. Additionally, she works with leading corporations on identifying talent for their in-house legal departments. 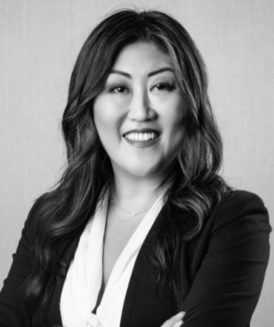 Haesun began her recruiting career as the Recruiting Coordinator for the Washington D.C. office of a top tier AmLaw 100 firm, where she was responsible for attorney recruiting and business development. Prior to joining Wegman Partners, she managed and implemented best practices for attorney hiring for a large national legal search firm, in the Washington D.C. and Chicago offices. Haesun graduated from North Carolina State University.